This module will provide you with an understanding of the anatomy and function of the eye, the five main eye conditions and an introduction to eye health and vision care. You will use the knowledge gained through this module to provide a duty of care to all clients as needed in relation to eye care. Member Price: Free. Non-Member Price: $38.50. Duration: Approx. 1 hour. 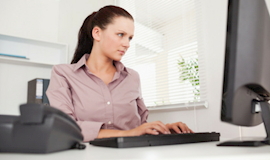 This module has been developed to provide an understanding of telephone triage. Member Price: Free. Non-Member Price: $38.50. Duration: approx. 1 hour. Taken from our successful face to face workshops this online learning will provide nurses with access to the same materials in an online format. 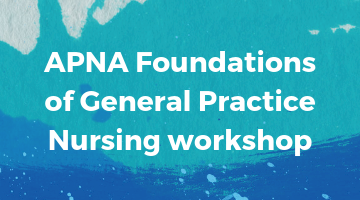 The foundation program is planned to provide an understanding of roles, responsibilities and skills necessary for nurses working in the general practice environment and provide an orientation. Member Price: Free. Non-Member Price: $250. Duration: approx 12 hours. 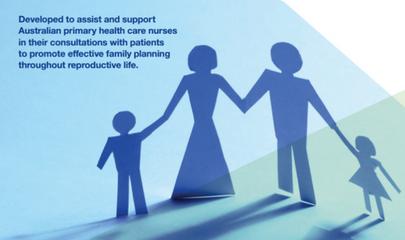 This webinar introduces ideas on how to use a new innovative Family Planning decision support tool for nurses working in primary health care in Australia. The tool was designed to assist nurses in consultations with patients to promote effective family planning throughout reproductive life. Member Price: Free. Non-Member Price: $15. This course by the Association for Safe Aseptic Technique (ASAP) provides official accreditation for ANTT theory applied to clinical practice. It teaches healthcare workers how to apply the ANTT Clinical Practice Framework to clinical practice using the ANTT - Approach. Member Price: $37.12 Non-Member Price: $49.50. Duration: approx 1 hour. Asthma Fundamentals for Primary Health Care Nurses has been designed to provide you with the skills to effectively identify potential asthma in your patients, and will outline the key steps necessary in diagnosis and ongoing management. Member Price: Free. Non-Member Price: $38.50. Duration: approx. 1 hour. This course has been developed to provide learners with an understanding of basic life support, according to the Australian Resuscitation Council guidelines. Member Price: $28.88. Non-Member Price: $38.50. Duration: approx 85 minutes. This module has been developed to provide you with an understanding of basic principles of pharmacology and the management of cardiovascular disease. Member Price: Free. Non-Member Price: $38.50. Duration: approx 1 hour. The Building Dementia Practice series is designed to improve your knowledge, skills and confidence in dementia practice and provide you with tools and resources to work collaboratively in supporting a timely diagnosis of dementia in primary care. The online learning module will encourage you to lead practice change by following newly developed dementia practice guidelines that promote an evidence based approach to dementia detection, diagnosis and support in a primary care setting. Member Price: Free. Non-Member Price: Free. Duration: approx 1 hour. The Building Dementia Practice series is designed to improve your knowledge, skills and confidence in dementia practice and provide you with tools and resources to work collaboratively in supporting a timely diagnosis of dementia in primary care. The online learning module will encourage you to lead practice change by following newly developed dementia practice guidelines that promote an evidence based approach to dementia detection, diagnosis and support in a primary care setting. Member Price: Free. Non-Member Price: Free. Duration: approx 1 hour/ 1 CPD hour. The Building Dementia Practice series is designed to improve your knowledge, skills and confidence in dementia practice and provide you with tools and resources to work collaboratively in supporting a timely diagnosis of dementia in primary care. The online learning module will encourage you to lead practice change by following newly developed dementia practice guidelines that promote an evidence based approach to dementia detection, diagnosis and support in a primary care setting. Member Price: Free. Non-Member Price: Free. Duration: approx 1 hour/ 1 CPD hr. The course has been designed to help you better understand the lifestyle and medication management issues for people at risk of heart attack and stroke and provide them with appropriate support in the primary care setting. Member Price: Free. Duration: Approx. 2 hours. This package contains 'Diabetes Management in the Primary Care Setting Unit 1 - Introduction to Diabete's and 'Diabetes Management in the Primary Care Setting Unit 2 - Supporting People Living with Diabetes'. Member Price: $150. Non-Member Price: $300. Duration Unit 1 & 2: approx 26 hours. This course has been designed for those who have identified a need to update or increase their diabetes and diabetes management knowledge. Member Price: $75. Non-Member Price: $150. Duration: Approx. 16 hours. Unit 2 - Supporting People Living with Diabetes has been designed to draw on the knowledge identified in Unit 1 - Introduction to Diabetes. Unit 2 contains more detailed information required to adapt a care plan and management of individual person's requirements. Member Price: $120. Non-Member Price: $240. Duration: 10 hours. This course has been developed to provide primary health care nurses with an overview of adolescent fertility, including contraceptive methods, implications of untreated sexually transmitted infections (STIs) on future fertility, risk taking behaviours and their potential implications on adolescent fertility and issues relating to adolescent pregnancy. Member Price: Free. Non-Member Price: Free. Duration: 1 hour/ 1 CPD hour. This course provides an understanding of equal employment opportunity (EEO), discrimination and how complaints are managed. This online learning program has been designed to provide you with an understanding of general practice financing mechanisms. Member Price: Free. Non-Member Price: $57.75. Duration: 1.5 hour/ 1.5 CPD hours. This course has been developed to provide an understanding of haemochromatosis, its symptoms, diagnosis, and management. Member Price: Free. Non-Member Price: $38.50. Duration: 1 hour/ 1 CPD hour. This course will provide you with opportunities to strengthen your understanding of health literacy and how you can support understanding and participation in health. Member Price: Free. Non-Member Price: $38.50. Duration: 1 hour/ 1 CPD hours. This course has been developed to provide learners with an understanding of how to identify, report and respond to the abuse of older people who are in a care relationship. Member Price: $28.88. Non-Member Price: $38.50. Duration: approx. 75 minutes. You may not currently consider yourself a ‘leader’ as such, yet all nurses lead in some sense through the activities they engage with in their everyday practice. This interactive module is designed to provide you with an opportunity to recognise your current skills, and give you confidence to expand and develop your leadership skills to whatever level you desire. Member Price: Free. Non-Member Price: $38.50. Duration: approx 1 hour/ 1 CPD hour. This course aims to provide practice nurses with an understanding of fertility health and family planning and the reproductive health implications for men and women within a general practice setting. The course seeks to enhance knowledge in fertility health and family planning, which may lead to an interest in further studies. Member Price: $79. Non-Member Price: $249. Duration: Approx. 4 hours / 4 CPD hours. This course has been designed to provide you with an understanding of the controls that should be applied to manual handling in the workplace. Member Price: $28.88. Non-Member Price: $38.50. Duration: Approx. 15 mins / 0.25 CPD hours. This course has been developed to provide workers with an understanding of the risks associated with manual tasks and an awareness of how to perform those tasks safely. Member Price: $28.88. Non-Member Price: $38.50. Duration: Approx. 1 hour / 1 CPD hour. This course has been developed to provide you with an understanding of why and how musculoskeletal injuries occur, as well as some practical tips on how to perform hazardous manual tasks safely. Member Price: $28.88. Non-Member Price: $38.50. Duration: approx 35 mins / 0.6 CPD hours. It is estimated that in Australia 45% of people will experience a common mental health condition in their lifetime. For people suffering from a mental health illness, general practice is often the first port of call. Member Price: Free. Non-Member Price: $169. Duration: approx. 2 hours / 2 CPD hours. This module is the second part of a 2 module course for nurses in the general practice setting. It focuses on the role of the various members of the mental health team, mental disorders, mental health problems and issues of early intervention, assisting clients to achieve and maintain good mental health. Member Price: Free. Non-Member Price: $77. Duration: approx 2 hours / 2 CPD hours. This course has been produced by the Nursing and Midwifery Telehealth Consortia to educate midwives on the use of Telehealth consultations. The nine module course covers all aspects of setting up and running a Telehealth consultation. Member Price: Free. Non-Member Price: Free. Duration: approx 4 hours / 4 CPD hours. This course provides primary health care nurses with an understanding of the risk factors and symptoms of bowel cancer, different screening tests for bowel cancer, features of the National Bowel Cancer Screening Program (NBCSP) and duty of care associated with the management of NBCSP participants. Member Price: Free. Non-Member Price: $38.50. Duration: approx 1 hour / 1 CPD hour. This course is a blended learning program of one-hour online theory and two hours of reflective learning. This course has been developed to provide nurses with an understanding of the nurse clinic model of care and provide a framework to assist in the planning, implementation and evaluation stages of setting up a nurse clinic in your general practice. Member Price: Free. Non-Member Price: $38.50. Duration: approx 1 hour / 1 CPD hour. 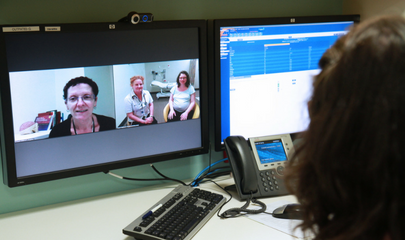 This course has been produced by the Nursing and Midwifery Telehealth Consortia to educate nurses and midwives on the use of Telehealth consultations. 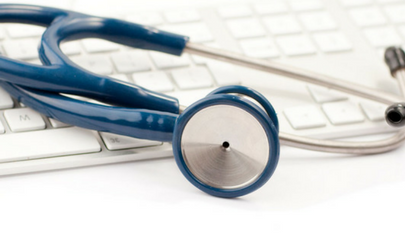 The nine module course covers all aspects of setting up and running a Telehealth consultation. Member Price: Free. Non-Member Price: Free. Duration: approx 4 hours / 4 CPD hours. This course has been developed to provide the learner with an understanding of the risks presented by obesity, how it is managed as well as good practice when communicating about and treating obesity. Member Price: Free. Non-Member Price: Free. Duration: approx 1 hour / 1 CPD hour. This module will educate nurses on the impact of chronic diseases and risk factors on fertility, and the subsequent impact on antenatal care. 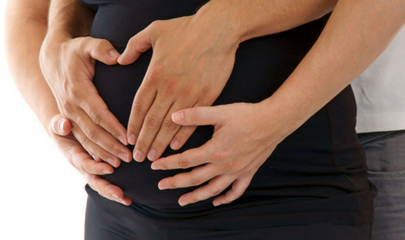 Issues relating to overweight and obesity, and the role of weight in infertility are included. Member Price: Free. Non-Member Price: Free. Duration: approx 1 hour / 1 CPD hour. This module will strengthen your understanding of how to support healthy ageing and encourage you to further expand the activities you undertake to optimise health as people age. Member Price: Free. Non-Member Price: $38.50. Duration: approx 1 hour / 1 CPD hour. This course is designed to provide an understanding of how to insert a peripheral intravenous cannula (PIVC) into an adult patient and to prevent and control healthcare associated infections (HAIs) associated with this procedure. Member Price: $28.88. Non-Member Price: $38.50. Duration: approx 1.5 hours / 1.5 CPD hours. 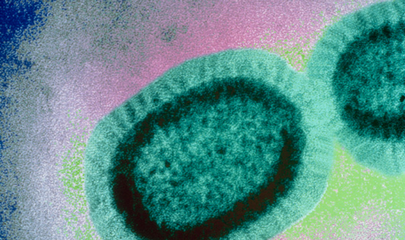 Pertussis is an extremely contagious respiratory infection. Increasing vaccination coverage has dramatically reduced the incidence of whooping cough among Australian children. However, it remains a highly infectious and dangerous disease. In a household where someone has whooping cough, an estimated 80-90% of the unimmunised contacts of that person will acquire the disease. Member Price: Free. Non-Member Price: $38.50. Duration: approx 1 hour / 1 CPD hour. This course has been designed to provide you with an introduction to Screening, Brief Intervention and Referral to Treatment (SBIRT) for addressing risky alcohol use in primary health. Member Price: Free. Non-Member Price: $38.50 Duration: Approx 1 hour / 1 CPD hour. This online learning program has been designed to provide you with an understanding of the scope of practice of the nursing profession and individual nurses working in the general practice setting. The module is designed for registered nurses, practice managers and general practitioners. Additional reading has been included in this module to give you a more in-depth knowledge of the subject. It is strongly recommended that you spend additional time consulting the recommended readings. Member Price: Free. Non-Member Price: $38.50 Duration: Approx 1 hour / 1 CPD hour. This interactive online module is the first in a five-part series designed to provide nurses with the necessary knowledge and skills for managing patients who are susceptible to solar damage and skin cancer. Member Price: Free. Non-Member Price: $99. Duration: Approx 1 hour / 1 CPD hour. This online education aims to provide nurses with an understanding of sexually transmissible infections (STIs) and blood borne viruses (BBV’s). Member Price: Free. Non-Member Price: $57.75 Duration: Approx 1.5 hours / 1.5 CPD hours. The aim for this course is to provide the general practice nurse involved in the care and management of leg ulcers with the information and knowledge to understand, assess, and provide a practical approach to the management of lower leg ulcers. Member Price: Free. Non-Member Price: $38.50 Duration: Approx 1 hour / 1 CPD hour. This course has been endorsed by the Safety Institute of Australia and has been designed to provide you with an understanding of some of the issues relating to health and safety that workers may face in the workplace. Member Price: $28.88. Non-Member Price: $38.50 Duration: Approx 40 mins / 0.65 CPD hours. This course has been developed to provide managers and supervisors with an introduction to some of the key requirements of the model work health and safety legislation. Member Price: $28.88. Non-Member Price: $38.50 Duration: Approx 1 hour / 1 CPD hour. A package of 22 video presentations taken from the APNA 2015 national conference. Non-Member Price: $275; Member Price: FREE. A package of 24 video presentations taken from the APNA 2016 national conference. Non-Member Price: $300; Member Price: FREE. A package of 30 video presentations taken from the APNA 2017 national conference. Non-Member Price: $360; Member Price: FREE. Presented at 2016 APNA National Conference - Nurses | the heart of primary health care. This presentation aims to take you on a journey of cross-sectoral partners who all want to improve the care of elderly people and ensure that the best care possible is provided in the most appropriate setting for their needs. Member Price: Free. Non-Member Price: $15. Presented at 2013 APNA National Conference - Movers & Shakers. This presentation will describe consumer satisfaction with New Zealand practice nurses. Member Price: Free. Non-Member Price: $15. Presented at 2016 APNA National Conference - Nurses | the heart of primary health care. 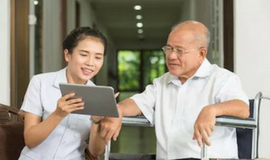 Impact of the acute aged care nurse practitioner on health outcomes. Member Price: Free. Non-Member Price: $15. Presented at 2015 APNA National Conference - Brave to Bold. Dr Sheila Tlou is the Director of the UNAIDS Regional Support Team for Eastern and Southern Africa. She has conducted research and taught courses to nursing, pre-medical and social science students on gender issues relating to HIV/AIDS, sexual and reproductive health and rights, and ageing and older persons. Member Price: Free. Non-Member Price: $15. A Specialist Wound Clinic in General Practice: Does it work? Presented at 2013 APNA National Conference - Movers & Shakers. This presentation will explore establishing a specialist wound clinic in a general practice as a means of reducing waiting times for wound assessment and appropriate interventions and using the clinic as a clinical placement setting for other practice nurses in order to upskill them in the challenges of complex wounds. Member Price: Free. Non-Member Price: $15. Presented at the 2013 APNA National Conference - Movers & Shakers. 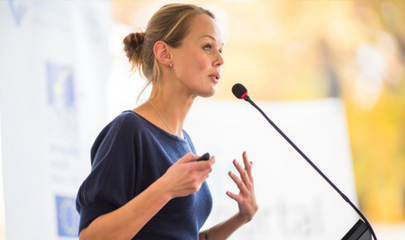 Using lessons from the previous presentations we will brainstorm ideas and methods you could use to communicate with your Medicare Local. Member Price: Free. Non-Member Price: $15. Presented at 2018 APNA National Conference - Nurseforce for the Future. With a focus on Flu and Pertussis Vaccines during Pregnancy, Professor Ross Andrews will deliver a keynote on Adult Immunisation. Member Price: Free. Non-Member Price: $15. Presented at 2016 APNA National Conference - Nurses | the heart of primary health care. Continuing improvements in health care, nutrition and disease prevention have led to ageing of the population, a trend which is set to continue. Older age of retirement and greater reliance on older adults for economic sustainability will drive incentives for health ageing. Member Price: Free. Non-Member Price: $15. Primary care nurses have an important role to play in advance care planning conversations and are well placed to initiate such conversations with their patients, to assist them to complete advance care plans, and to appropriately review these plans. Member Price: Free. Non-Member Price: $15. Presented at 2016 APNA National Conference - Nurses | the heart of primary health care. Enables you to learn about the principles and practice of advance care planning (ACP). Member Price: Free. Non-Member Price: $15. Nigel sees pathology as a key foundation for the role of community located nursing and is excited to share his knowledge of pathology with you. He regularly educates health workers on the role and use and interpretation of pathology testing, using a combination of case based scenarios along with plenty of opportunity for questions. Member Price: Free. Non-Member Price: $15. Nurseforce for the Future will offer a two-part workshop day for nurse practitioners and nurses seeking advanced education. This inaugural workshop has been specifically designed for nurse practitioners and advanced nurses who work in an extended clinical role. Member Price: Free. Non-Member Price: $15. This inaugural workshop has been specifically designed for nurse practitioners and advanced nurses who work in an extended clinical role. The day will consist of two half-day sessions, which will comprehensively cover two key topics of interest; pharmacology and diagnostics. Member Price: Free. Non-Member Price: $15. 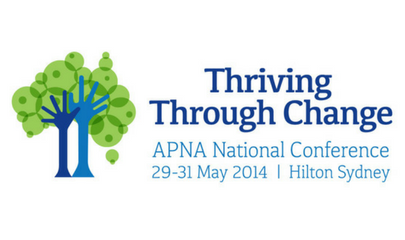 Presented at 2014 APNA National Conference - Thriving Through Change. An International Perspective. Member Price: Free. Non-Member Price: $15. In early 2017, Seymour Health identified that the local general practitioner demographic had changed. Difficulties recruiting medical officers to continue the after hour’s on-call emergency service identified the need for an alternate workforce. This presentation will outline the innovative nurse practitioner model of care that has been developed to fill the healthcare gap. Member Price: Free. Non-Member Price: $15. As the proportion of elderly Australians increase so does the demand for aged care services. Using a collaborative model the Industry Liaison Clinicia (ILC) works with general practice to identify potential patients that may benefit from the free service. Member Price: Free. Non-Member Price: $15. Compassion fatigue is fast becoming a (silent) endemic across the western healthcare system and requires careful consideration along with solid, practical and immediate implementation of new skills, mindsets and approaches to healthcare delivery. Member Price: Free. Non-Member Price: $15. Presented at 2016 APNA National Conference - Nurses | the heart of primary health care. This session will provide an overview of the changes to these revised standards and guidelines and general update for attendees on relevant policy position of the NMBA with respect to nurses working in primary health care. Member Price: Free. Non-Member Price: $15. Presented at 2016 APNA National Conference - Nurses | the heart of primary health care. Details a program to be launched in 2016 which aims to improve student and preceptor relationships by way of improved education for both parties. Member Price: Free. Non-Member Price: $15. Since 2002 the Asthma Best Practice National education program has been funded by the Australian Government, with several workshop types relevant for primary care health professionals covering asthma and spirometry education. Evaluation over the past 15 years has shown a targeted disease-focused and unbiased education program is relevant and has impacted primary care health professionals learning and change of practice. Member Price: Free. Non-Member Price: $15. Presented at 2017 APNA National Conference - State of the Art. Kate brings extensive experience and knowledge to the role of Ombudsman, having run her own small businesses for 15 years before becoming ACT Chief Minister in 1995 for a five year period. Member Price: Free. Non-Member Price: $15. Presented at 2017 APNA National Conference - State of the Art. Arm yourself with knowledge for the next visit and hear all about the new national breastfeeding strategy. Member Price: Free. Non-Member Price: $15. A presentation from the 2013 APNA National Conference - Movers and Shakers. Jim Gillespie will look at some of the messages that have emerged from recent surveys of Australian attitudes to our healthcare system. Member Price: Free. Non-Member Price: $15. Many patients with cancer are expected to survive five years post-diagnosis and beyond. However, on completion of active treatment, many could continue to suffer from ongoing treatment or disease related health problems (physical and psychosocial). Member Price: Free. Non-Member Price: $15. 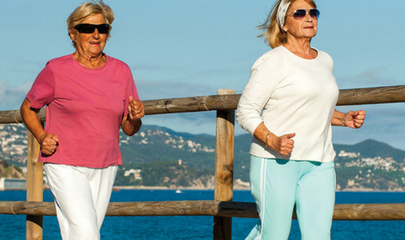 The purpose of the Bone Health Consult is to identify, screen, educate and treat patients at risk of osteoporosis, and in the long term to prevent fractures and complications including early death. Member Price: Free. Non-Member Price: $15. Presented at 2014 APNA National Conference - Thriving Through Change. Member Price: Free. Non-Member Price: $15. The workshop will highlight the compelling argument for initiating routine cardiovascular disease risk assessment and management in the primary health care setting for the eligible population. In the interactive workshop, Dr Greaves will share national evidence-based research findings and studies that he has led. Member Price: Free. Non-Member Price: $15. 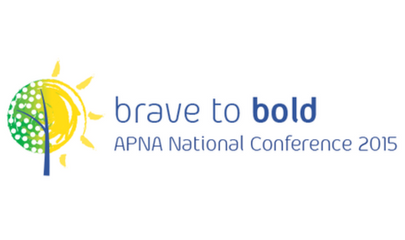 Presented at 2015 APNA National Conference - Brave to Bold. An overview of chronic disease management in general practice using care planning as a framework, including discussion of the MBS, the role of nurses in CDM, improving team communication, implementing a person-centred approach to CDM, and maximising practice revenue through planned management of chronic disease. Member Price: Free. Non-Member Price: $15. 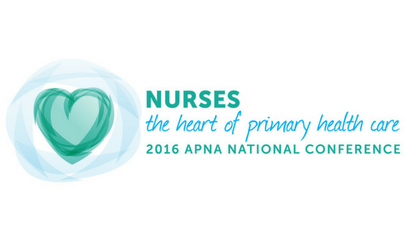 Presented at 2016 APNA National Conference - Nurses | the heart of primary health care. The aim of the Champions for Skin Integrity (CSI) program is to facilitate evidence-based wound management through the development of an implementation model and resources for health professionals, clients and carers. Member Price: Free. Non-Member Price: $15. 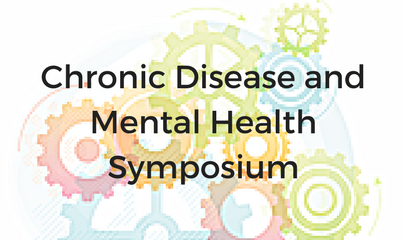 A package of 8 video presentations taken from the Chronic Disease and Mental Health Symposium 2016. Member Price: FREE. Non-Member Price: $90. The purpose of the session is to provide attendees with insights into the small but meaningful changes that can be made in a primary care centre with multiple priorities and issues to make changes to the way chronic diseases are identified, recalled and managed. Member Price: Free. Non-Member Price: $15. Chronic Disease, Mental Health, Socioeconomic Disadvantage - Where do we Begin? Disparity + disadvantage = poor outcomes. Member Price: Free. Non-Member Price: $15. 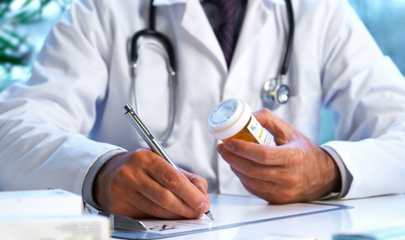 General practitioners are the providers of most depression care which can be challenging and burdensome. Preliminary findings suggest that a nurse delivered model of collaborative care for depression is perceived as appropriate and helpful by primary care patients. Member Price: Free. Non-Member Price: $15. Presented at 2015 APNA National Conference - Brave to Bold. Exploring how doctors and nurses work together. Member Price: Free. Non-Member Price: $15. Previously at Indian Ocean Territories Health Service each chronic condition was dealt with individually, resulting in unnecessary and duplicated recalls for pathology and clinical measures. Combined Chronic Disease (CCD) care system was developed to guide clinicians to deliver an evidence-based, patient-focused and holistic approach to attend to complex and multiple chronic illnesses. Member Price: Free. Non-Member Price: $15. This workshop will cover the key aspects of nurse led pre-travel health consults, followed by an interactive case based workshop. Following this, influenza prevention and all the lessons learnt from 2017 season and the role of new vaccines for older adults will be on the menu. Member Price: Free. Non-Member Price: $15. Presented at 2014 APNA National Conference - Thriving Through Change. This presentation seeks to synthesise the literature around professional practice standards in the context of nurses working in general practice. Member Price: Free. Non-Member Price: $15. This presentation will provide a consumer perspective on the challenges associated with the management of the burden of disease associated with chronic conditions in our current system. Member Price: Free. Non-Member Price: $15. Presented at 2016 APNA National Conference - Nurses | the heart of primary health care. Integrated Care in Canterbury New Zealand. What happened to turn around an organisation that was evidently struggling, to becoming one of the top five performing organisations in the world? Member Price: Free. Non-Member Price: $15. Presented at 2014 APNA National Conference - Thriving Through Change. Many nurses have leadership capabilities that go unrecognised or underutilised in their workplace. So what's stopping them? Member Price: Free. Non-Member Price: $15. Country South Australia Primary Health Network, which exists to bridge the gap of health equity in regional and remote South Australia, has funded the CATCH program as part of its efforts to prevent subsequent cardiac events and to reduce the number of preventable hospitalisations. Member Price: Free. Non-Member Price: $15. Presented at 2015 APNA National Conference - Brave to Bold. A future forecast for primary health care nursing. Member Price: Free. Non-Member Price: $15. A presentation from the 2013 APNA National Conference - Movers and Shakers. 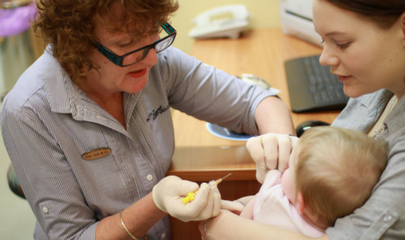 The Australian Immunisation Handbook provides clinical advice for health professionals on the safest and most effective use of vaccines in their practice. Member Price: Free. Non-Member Price: $15. Presented at 2013 APNA National Conference - Movers & Shakers. Join us in a discussion that will inspire you to take action and get involved in further developing primary health care nurses as the key leads in future health care delivery. Member Price: Free. Non-Member Price: $15. Presented at 2013 APNA National Conference - Movers & Shakers. Member Price: Free. Non-Member Price: $15. Presented at 2016 APNA National Conference - Nurses | the heart of primary health care. Dietary fats in the context of heart health has become a highly topical issue in recent years causing many Australians to opt for eating patterns that are not consistent with current guidelines. Member Price: Free. Non-Member Price: $15. Presented at 2017 APNA National Conference - State of the Art. An update on where we are up to and a practical how-to including uploading event and shared health summaries. Member Price: Free. Non-Member Price: $15. Do GPs & RNs Collaborate in General Practice? Presented at 2016 APNA National Conference - Nurses | the heart of primary health care. Despite the growth of nursing in general practice, it is predicted that general practitioners and nurses will struggle to meet the growing demand for primary care services. Member Price: Free. Non-Member Price: $15. 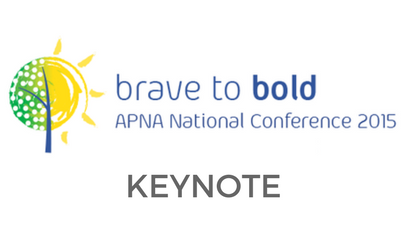 Presented at 2015 APNA National Conference - Brave to Bold. Utilising systematic literature reviews, World Health Organisation guidelines for health practitioners and data from several studies, this presentation will discuss this major public health issue for women in the Australian community. Member Price: Free. Non-Member Price: $15. Presented at 2014 APNA National Conference - Thriving Through Change. Developing relationships with key support organisations such as universities and GP training organisations are critical elements in influencing the capacity-building opportunities of a nurse panel and wider primary health care network. Member Price: Free. Non-Member Price: $15. Undertaking research can be daunting and time consuming for community nurses. This presentation from the "APNA 2018 National Conference - Nurseforce for the Future" discusses how a community nursing service developed a philosophy towards research. Member Price: Free. Non-Member Price: $15. Presented at 2017 APNA National Conference - State of the Art. Member Price: Free. Non-Member Price: $15. Every nurse is a mental health nurse: You just didn’t know it! Presented at 2015 APNA National Conference - Brave to Bold. Dr Mary Moller is an advanced registered nurse practitioner who is dually certified as a clinical specialist in adult psychiatric-mental health nursing and a psychiatric rehabilitation practitioner. Member Price: Free. Non-Member Price: $15. Duration: 1 hour/ 1 CPD hours. A nurse-led clinic at Southern Cross University Health Clinic was developed to manage the health condition of Aboriginal and Torres Strait Islander people. The aim was to service the health needs of the local community and act as an outreach for the local Jullums Aboriginal Medical Service (AMS). Member Price: Free. Non-Member Price: $15. More people are presenting mental health conditions to general practices than ever before. This paper reports a national study to develop a mental health scope of practice for general practice nurses. Member Price: Free. Non-Member Price: $15. Presented at 2016 APNA National Conference - Nurses | the heart of primary health care. 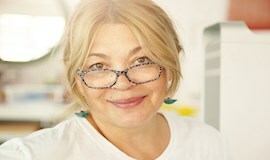 Optometry Australia’s workshop will focus on the role of Primary Health Care nurses in both acute and chronic eye care. Member Price: Free. Non-Member Price: $15. A package of 3 video presentations on family planning. Non-Member Price: $30; Member Price: FREE. Currently there is much room for improvement in the treatment and support of people with epilepsy. Epilepsy Foundation proposes a model of care that involves a key role for primary health nurses. In particular, it aims to educate Primary Health Networks on the development and use of Epilepsy Management Plans could significantly improve treatment quality. Member Price: Free. Non-Member Price: $15. 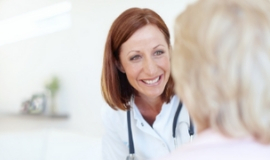 Evidence shows that patients only retain about 20% of the content of consultations. 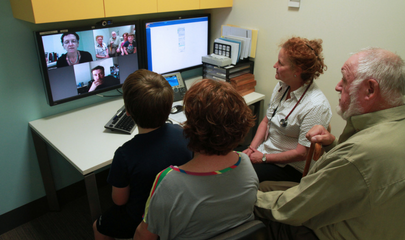 A new SMS-based system using the NHS Simple Telehealth methodology in the UK was recently introduced to Australia. The system has a persona called Nellie® and uses technical structures designed for healthcare to provide advice, feedback, and encouragement to patients. Member Price: Free. Non-Member Price: $15. Presented at 2013 APNA National Conference - Movers & Shakers. This presentation will discuss the data obtained on general practice nurse activities education and work satisfaction. Member Price: Free. Non-Member Price: $15. 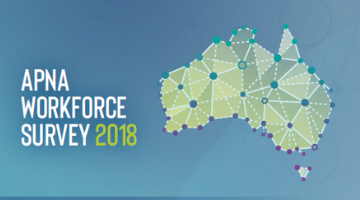 A Panel Session at the APNA 2018 National Conference - Nurseforce for the Future - Grow Your Career in Primary Health Care Part 1: What are employers looking for in 2018 with Patrice Cafferky. Join us for an interactive session facilitated by Jacqui Richmond as we map out your career options and find out about the support, resources and tools to assist you in choosing the right career path. Member Price: Free. Non-Member Price: $15. Panel Session at the APNA 2018 National Conference - Nurseforce for the Future - Grow Your Career in Primary Health Care Part 2: Online profiles and the use of social media with Robbie Bedbrook. Member Price: Free. Non-Member Price: $15. Presented at 2015 APNA National Conference - Brave to Bold. Available international evidence on education models and career pathways for nurses working in primary care and general practice with a view to enhancing recruitment and retention of nurses in Australian general practice through the development of an Australian framework. Member Price: Free. Non-Member Price: $15. Presented at 2015 APNA National Conference - Brave to Bold. Results of the Australian STeP IT UP trial. Member Price: Free. Non-Member Price: $15. Janet Quigley from the Commonwealth Department of Health will provide an update on the Health Care Homes funding model, while Nursing Champion, Practice Nurse Donna Datoon will give her perspective as one of the health providers rolling out this model of care. Member Price: Free. Non-Member Price: $15. 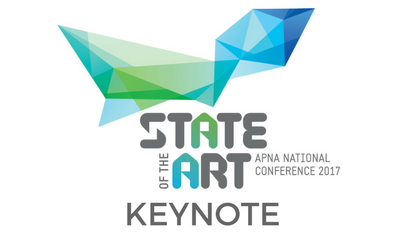 Presented at the 2017 APNA National Conference - State of the Art. Q&A panel. Member Price: Free. Non-Member Price: $15. Presented at 2015 APNA National Conference - Brave to Bold. Member Price: Free. Non-Member Price: $15. A descendant of the Gringai-Wonnarua Nation in New South Wales, Lesley's nursing is dedicated to improving the health of those with chronic disease and continuously agitating the state and federal government over nurses and patient rights. Presented at 2017 APNA National Conference - State of the Art. Developing models of care to address obesity in our communities. Member Price: Free. Non-Member Price: $15. Presented at 2017 APNA National Conference - State of the Art. Covers risk factor management and secondary prevention targets and will include practical tools and resources that can be used in your practice to improve patient care. Member Price: Free. Non-Member Price: $15. People with mental illness have substantially greater risk of experiencing co-occurring physical illness and/or substance abuse. Member Price: Free. Non-Member Price: $15. Hep B 1, 2, 3 is a pilot project that aims to increase the awareness and understanding of hepatitis B and encourage testing and vaccination in culturally and linguistically diverse communities undertaking Australian Migrant English Program (AMEP) studies. Member Price: Free. Non-Member Price: $15. This session will also include the important role that primary health care nurses play in early identification of malnutrition or nutritional risk and how this may be applied in primary health care settings. Member Price: Free. Non-Member Price: $15. The presentation will demonstrate how the HealthInfoNet can assist those who care for Aboriginal and Torres Strait Islander people to keep up-to-date with the latest research and aid their professional development. Member Price: Free. Non-Member Price: $15. 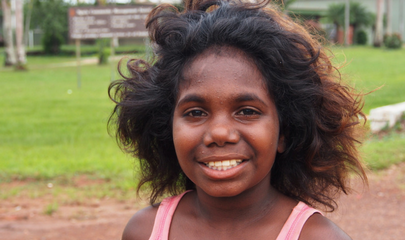 How Can You Make a Difference in Indigenous Primary Health Care? Presented at 2014 APNA National Conference - Thriving Through Change. Presented by Renee Blackman, Service Development Manager, Institute for Urban Indigenous Health. Member Price: Free. Non-Member Price: $15. This qualitative descriptive study sought to understand 12 general practice nurse experiences of lifestyle risk communication. Results showed that nurses observed lifestyle risk communication to be dependent on role navigation, determination of patient receptiveness, time, education and organisational support. Member Price: Free. Non-Member Price: $15. This breakfast session explores this research in more detail, examines the unique role of the primary health care nurse in the provision of diabetes management services and discusses the range of practical tools available to primary health care nurses to support the structured delivery of diabetes care. Member Price: Free. Non-Member Price: $15. Presented at 2016 APNA National Conference - Nurses | the heart of primary health care. The national cervical screening program, which has been in place in Australia since 1991, is undergoing major changes set to be implemented from 1st May 2017. Member Price: Free. Non-Member Price: $15. Presented at 2016 APNA National Conference - Nurses | the heart of primary health care. Gives conference members an insight into how HF/NTS training has impacted both the aviation and oil and gas industries; and how the lessons learnt might be applicable in the medical world. Member Price: Free. Non-Member Price: $15. Presented at 2017 APNA National Conference - State of the Art. Keynote presentation by Zara Swindells-Grose, Director, Humour Australia. Member Price: Free. Non-Member Price: $15. This case study provides an opportunity for primary health care nurses to reflect on their current practice and consider practical applications for integrating new hypertension evidence into their practice systems, leading to enhanced quality of care for both hypertension prevention and early detection of chronic kidney disease. Member Price: Free. Non-Member Price: $15. Presented at 2017 APNA National Conference - State of the Art. Risk management in healthcare involves risk awareness, risk mitigation, decision-making around risk-benefit ratios, and continuous quality improvement. Member Price: Free. Non-Member Price: $15. Presented at 2017 APNA National Conference - State of the Art. A pilot education intervention for general practice nurses to improve competence and confidence in providing care for mothers and infants. Member Price: Free. Non-Member Price: $15. Whilst intrauterine devices (IUDs) are highly effective in preventing pregnancy, utilisation in Australia is low. Extending provision by registered nurses (RNs) may increase uptake. This study explored the attitudes of RNs and medical officers (MOs) towards inclusion of IUD insertions to RNs scope of practice, in the context of RN IUD insertion training at Family Planning NSW. Member Price: Free. Non-Member Price: $15. Long-acting reversible contraceptives (LARC) are highly effective in preventing pregnancy; however, uptake remains low in Australia. Extending provision by registered nurses (RNs) may increase utilisation. A cost-benefit analysis was undertaken to assess the impact of women switching from an oral contraceptive pill (OCP) to a LARC. Member Price: Free. Non-Member Price: $15. Does your patient identify as Aboriginal or Torres Strait Islander (ATSI)? In this session Tamika Campbell helps primary health care nurses with learning how to provide ongoing care to ATSI patients and understanding what cultural awareness means in your practice. Member Price: Free. Non-Member Price: $15. 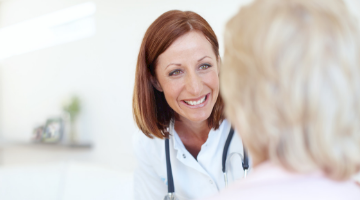 Advance is a free toolkit of screening and assessment tools and a training package, specifically designed to support nurses in Australian general practices to work with general practitioners to initiate advance care planning and palliative care in everyday general practice. Advance is funded by the Australian Government, endorsed by APNA and delivered by a national consortium led by HammondCare. Presented at 2017 APNA National Conference - State of the Art. Aims to increase your skills and confidence in initiating conversations with older or chronically ill patients about advance care planning and palliative care. Member Price: Free. Non-Member Price: $15. Presented at 2015 APNA National Conference - Brave to Bold. In 2012-13 the Australian Medicare Local Alliance (AML Alliance) funded 12 Medicare Locals to implement Nursing Demonstration Projects. The evaluation has implications for future general practice nursing initiatives. Member Price: Free. Non-Member Price: $15. Presented at 2013 APNA National Conference - Movers & Shakers. This presentation will outline principles and models for integrating health self-management and peer support into general practice along with practical strategies practice nurses can use to implement in their clinical settings. Member Price: Free. Non-Member Price: $15. Supported by the Heart Foundation, this pilot project demonstrated the importance of using an absolute risk approach to assess cardiovascular risk in eligible patients and how general practice nurses play a vital role in implementing change within their practice. Member Price: Free. Non-Member Price: $15. Presented at 2014 APNA National Conference - Thriving Through Change. An exploration of nursing leadership in primary health care in New Zealand. Member Price: Free. Non-Member Price: $15. Invasive meningococcal disease (IMD) is a rare but deadly bacterial infection most commonly presenting as sepsis or meningitis. In Australia, cases of IMD have been steadily increasing over the last five years. In this session, Dr Julianne Bayliss explores the recent epidemiological trends, the funded vaccination programs in place, and vaccine recommendations outside of these funded programs. Member Price: Free. Non-Member Price: $15. Presented at 2016 APNA National Conference - Nurses | the heart of primary health care. An online survey of General Practice Nurses was conducted to ascertain the knowledge, attitudes and practices regarding influenza and influenza vaccination. Member Price: Free. Non-Member Price: $15. Presented at 2015 APNA National Conference - Brave to Bold. Follow Liz as she takes you through her journey of working 44 years in the nursing profession. Member Price: Free. Non-Member Price: $15. Presented at 2014 APNA National Conference - Thriving Through Change. Workshop presented by Dr Madrean Schober and Karen Cook. Member Price: Free. Non-Member Price: $15. Presented at 2013 APNA National Conference - Movers & Shakers. Leadership takes on many forms and primary health care will need nurse leaders to progress. Invited panellists Julianne Badenoch, Lynne Walker, Karen Cook and Samantha Moses will discuss Professor Sue Cross’ experience of leadership and provide their own stories of the barriers encountered and success on the way to leadership roles. Member Price: Free. Non-Member Price: $15. Presented at 2013 APNA National Conference - Movers & Shakers. 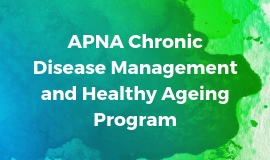 This presentation will provide an overview of the needs identified for improving and expanding chronic disease management, and the financial benefits of nurse-led chronic disease management. Member Price: Free. Non-Member Price: $15. Presented at 2015 APNA National Conference - Brave to Bold. A general practice clinical placement explored if working together provided the opportunity for knowledge and skills transfer to support a shared care model. Member Price: Free. Non-Member Price: $15. Presented at 2014 APNA National Conference - Thriving Through Change. Data from a recent Australian nurse survey resulted in over 6000 responses which demonstrated that many Australian nurses are reluctant to provide lifestyle education to patients if they perceive themselves to also be unhealthy. Member Price: Free. Non-Member Price: $15. 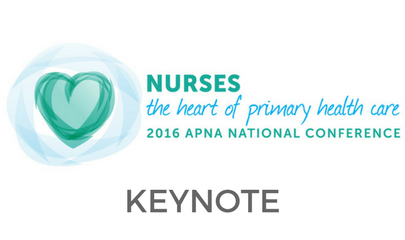 Presented at 2016 APNA National Conference - Nurses | the heart of primary health care. Introduces primary health care nurses to the concepts of older people living with frailty, and provide them with screening tools. Member Price: Free. Non-Member Price: $15. Presented at 2015 APNA National Conference - Brave to Bold. Brian is Director of Health Service 360, which provides online 360 appraisals for nurses, doctors, allied health professionals and managers. He works with organisations undertaking leadership development, improvements in patient flow and systems reform. Member Price: Free. Non-Member Price: $15. Presented at 2015 APNA National Conference - Brave to Bold. In the last year of life many experience a disconnected, confusing and distressing array of services, interventions and relationships with health professionals. Member Price: Free. Non-Member Price: $15. Presented at 2014 APNA National Conference - Thriving Through Change. Professor Garry Egger is considered one of Australia’s leading authorities on lifestyle and chronic disease. He provides counsel to the Australian medical community, federal government and the World Health Organisation. Member Price: Free. Non-Member Price: $15. Presented at 2017 APNA National Conference - State of the Art. Exploration of general practice nurse views of lifestyle risk dialogue is needed as a basis for future chronic disease management and capacity of practice nurse service delivery. Member Price: Free. Non-Member Price: $15. Presented at 2017 APNA National Conference - State of the Art. Improved understanding of why patients present frequently to the ED could assist to inform strategies to optimise resource allocation and avoid unnecessary ED admissions. Member Price: Free. Non-Member Price: $15. This practical workshop will look at what an appropriate patient appointment may look like. A practical session that demonstrates the best practice, evidence based approach to supporting patients psychologically and practically, when commencing on insulin. Member Price: Free. Non-Member Price: $15. Invasive Meningococcal Disease (IMD) is a rare but deadly bacterial infection most commonly presenting as sepsis or meningitis. In Australia, cases of IMD have been steadily increasing over the last five years (2013-2017). This session will assist you to build the knowledge in order to help answer questions about the disease and the vaccines available to help protect them against IMD. Member Price: Free. Non-Member Price: $15. Presented at 2014 APNA National Conference - Thriving Through Change. The mentoring circle brought together a group of highly motivated nurses from across the region. 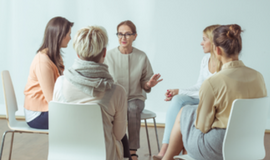 The networking meetings have helped reduce feelings of isolation and have empowered nurses to enhance their roles and identify the potential for change and improvement in their clinical setting. Member Price: Free. Non-Member Price: $15. A package of 6 video presentations on mentoring. Non -Member Price $70; Member Price: FREE. Presented at 2015 APNA National Conference - Brave to Bold. Provides an overview of the current trends, patterns of use, clinical presentations and withdrawal management of methamphetamine. Member Price: Free. Non-Member Price: $15. Presented at 2017 APNA National Conference - State of the Art. This seminar will offer the latest research, patient case studies and practical tips, as well as an opportunity to create your own healthy balanced breakfast. Member Price: Free. Non-Member Price: $15. Mentoring programs play a vital role in the career development of novice and experienced nurses for improving job satisfaction and the intent to stay in the nursing profession. 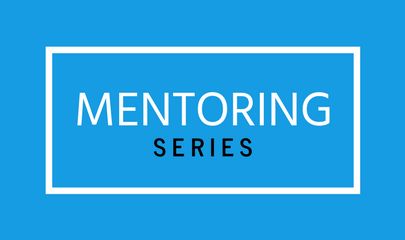 Want to hear more about mentoring and how you can engage more meaningfully in your professional relationships? This is the workshop for you. Member Price: Free. Non-Member Price: $15. 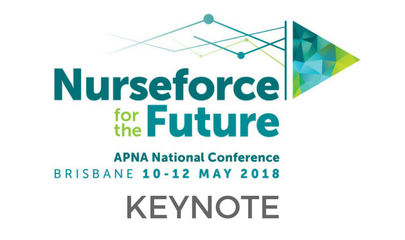 A presentation at the APNA 2018 National Conference - Nurseforce for the Future - My Health Record Expansion with Heather McDonald & Dr Peter Del Fante. Find out the latest updates on innovation from the Australian Digital Health Agency, in particular, the expansion of My Health Record. Member Price: Free. Non-Member Price: $15. Dr Del Fante started his career as a computer programmer before completing a medical degree at the University of Adelaide, followed by postgraduate training and Masters in Public Health Medicine and a postgraduate Certificate in Management at LaTrobe. This background has made Peter an ideal Clinical Lead rolling out the latest innovations and systems from the Australian Digital Health Agency. Member Price: Free. Non-Member Price: $15. Presented at 2016 APNA National Conference - Nurses | the heart of primary health care. Shares the results of a 14-item questionnaire to identify the information needs of people newly diagnosed with CKD to develop a consumer-driven resource pack containing information, advice, support and recommendations for early CKD. Member Price: Free. Non-Member Price: $15. Presented at 2016 APNA National Conference - Nurses | the heart of primary health care. Outlines Kristen's experiences working in northern Iraq, Kurdistan; where she joined with MSF to provide primary health care activities to Syrian refugees fleeing the Syrian conflict. Member Price: Free. Non-Member Price: $15. Presented at 2013 APNA National Conference - Movers & Shakers. A range of health benefits are promoted in the guidelines including healthy eating plans, increased physical activity and behavioural modification to help patients manage obesity. Member Price: Free. Non-Member Price: $15. Presented at 2017 APNA National Conference - State of the Art. What to look out for, expect and be wary of. Arm yourself with knowledge for the next visit and hear all about the new national breastfeeding strategy. Member Price: Free. Non-Member Price: $15. The North West Queensland region has a high indigenous and socioeconomic disadvantaged population, poor health status, and covers a geographically challenged area with all regions classified as remote or very remote Australia. These factors have resulted in the development and implementation of a unique co-ordinated model which meets the needs of remote Queenslanders. Member Price: Free. Non-Member Price: $15. Can social media improve health outcomes? Do nurses belong in the entrepreneurial and innovation space? The answer to both is a resounding YES. Robbie will explore why he created his persona 'Nurse Robbie', how this is boosting the profile of primary health care nursing and how important it is for nurses to be highly visible in both the media and health-innovation space. Member Price: Free. Non-Member Price: $15. Presented at 2014 APNA National Conference - Thriving Through Change. Dr Richard Hatchett, a nurse tutor from London, shares the UK's experience with Australian colleagues by exploring the wider factors that appear to push this form of healthcare delivery and assesses clinics' effectiveness and role in modern healthcare. Member Price: Free. Non-Member Price: $15. The high risk diabetes assessment project was aimed at people with high risk for diabetes type two based on the Royal Australian College of General Practitioners’ guidelines. This nurse-led model has highlighted the knowledge and value of practice nurses in preventative and accessible health care. Member Price: Free. Non-Member Price: $15. Online Learning Module for Nurses to Address Stigma & Discrimination towards Blood Borne Viruses -Melinda Hassall and Shelly Kerr. This online learning module will provide nurses with an opportunity to gain a greater understanding of blood borne viruses, embrace changes to practice and policy to reduce stigma and discrimination experienced by patients with blood borne viruses. Member Price: Free. Non-Member Price: $15. Presented at 2014 APNA National Conference - Thriving Through Change. Critically there is a need for Australian evidence that demonstrates that practice nurse-led care is both safe and effective. Member Price: Free. Non-Member Price: $15. What can be learned from a high-functioning practice team? Pick up valuable insights and advice to take back to your practice on how to identify and utilise the strengths and skills of your team, how to help bridge gaps, and how to establish a strong, accountable culture to best ensure your team is performing to the full scope of practice. Member Price: Free. Non-Member Price: $15. Identify some of the challenges and opportunities in working in partnership for nurses working with people experiencing chronic disease. Member Price: Free. Non-Member Price: $15. Australian general practice has no system to routinely identify elderly patients at risk of hospitalisation. Medication related harm monitoring, falls prevention, adult immunisation, end of life planning, deterioration action plans and self-management support should be imbedded in routine proactive care for high risk elderly patients. The Complex Care Project addresses these issues. Member Price: Free. Non-Member Price: $15. Person-centred care is recognised internationally as a model of care leading to improved engagement in health care and quality of life. Implementing evidenced-based nursing in general practice can have its obstacles however this rewarding journey is propelled by the benefits to the community and to the practice. Member Price: Free. Non-Member Price: $15. Presented at 2017 APNA National Conference - State of the Art. Will take you through the steps in preparing and rolling out care plans for today’s busy practice. Member Price: Free. Non-Member Price: $15. Presented at 2017 APNA National Conference - State of the Art. Improvements in integration of care between providers requires support and active participation from all components of the system; executive level as well as those working on the ground. Member Price: Free. Non-Member Price: $15. Presented at 2013 APNA National Conference - Movers & Shakers. This presentation will highlight the crucial role that practice nurses can play in cancer control in the general practice setting, review current resources available to support practice nurses in this work, discuss recent innovations in cancer care and explore the future of cancer control in the primary care setting. Member Price: Free. Non-Member Price: $15. 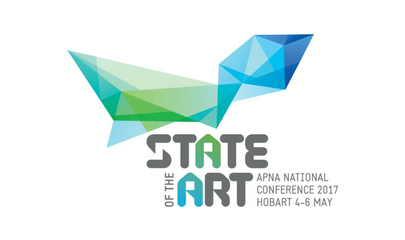 APNA will run the PHN Workshop at Nurseforce for the Future with a focus on Change Management. Health Care Homes will come under the microscope, along with other relevant case studies: digital health, quality improvement. Member Price: Free. Non-Member Price: $15. Part 3 - APNA will run the PHN Workshop at Nurseforce for the Future with a focus on Change Management. Health Care Homes will come under the microscope, along with other relevant case studies: digital health, quality improvement. Member Price: Free. Non-Member Price: $15. APNA ran the PHN Workshop at the Nurseforce for the Future conference with a focus on Change Management. Leading the first half of the day was Kirsten Meisinger, MD, medical staff president for the Cambridge Health Alliance. Dr Meisinger is the current National Faculty Co-Chair for the Centers for Medicare and Medicaid Services initiative called Transforming Clinical Practices Initiative, an initiative designed to move US practices to value-based, patient-centred medical care. Member Price: Free. Non-Member Price: $15. APNA ran the PHN Workshop at the Nurseforce for the Future conference with a focus on Change Management. Health Care Homes will come under the microscope, along with other relevant case studies: digital health, quality improvement. The second half of the day will see case study examples used to implement a Human-Centred Design model of implementing change. Facilitator Steph Bannister will leave you with ideas and outcomes to implement into your daily roles. Member Price: Free. Non-Member Price: $15. Presented at 2016 APNA National Conference - Nurses | the heart of primary health care. Prisoners have higher reported levels of risky behaviours and poorer health. Whilst holding a Mens’ Health Day is not a new concept in the community, in a prison it was, so there were many unique challenges to overcome. Member Price: Free. Non-Member Price: $15. Presented at 2017 APNA National Conference - State of the Art. The Pregnancy, Birth and Baby audience is very social media-literate and they want to choose how and when they interact with health agencies. Member Price: Free. Non-Member Price: $15. For many, diagnosis with a chronic illness challenges perceptions of immortality and fairness. It is not surprising that almost all patients experience distress in reaction to diagnosis and treatment of a chronic illness. Member Price: Free. Non-Member Price: $15. This presentation was given at the Chronic Disease & Mental Health Symposium (Feb 2016), a joint event that included the Australian Primary Health Care Nurses Association (APNA), The Australian College of Mental Health Nurses (ACMHN), the Australian Diabetes Educators Association (ADEA), the Thoracic Society of Australia and New Zealand and the Congress of Aboriginal and Torres Strait Islander Nurses and Midwives (CATSINaM). Member Price: Free. Non-Member Price: $15. Presented at 2017 APNA National Conference - State of the Art. The role of primary health care nurses in health promotion. Provides practical insights into how nurses can empower patients, services and communities to take control of their own health. Member Price: Free. Non-Member Price: $15. Presented at 2017 APNA National Conference - State of the Art. Explores the conditions which contribute to the silence and silencing of the nurses’ voice and consider approaches at an individual and workforce level that can help to realise the contribution of nurses to improved healthcare. Member Price: Free. Non-Member Price: $38.50 Duration: Approx 1.5 hours / 1.5 CPD hours. 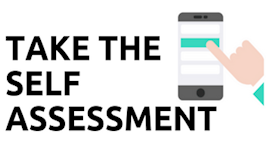 This study conducted across Victoria and Australian Capital Territory tested the feasibility and effectiveness of screening for anxiety in the annual 75 years and older health assessment (75+ HA). Prevalence estimates of clinically significant symptoms of anxiety were also obtained. Member Price: Free. Non-Member Price: $15. Presented at 2015 APNA National Conference - Brave to Bold. Provides a suite of information and resources enabling you to increase your knowledge and understanding of refugee healthcare within a primary health setting for people from a refugee background. Member Price: Free. Non-Member Price: $15. The role of primary health care nurses and nurse practitioners in managing haemochromatosis is likely to become more common in the future. Anecdotal evidence suggesting that people with moderately high levels of iron overload benefit from therapeutic venesections, has recently been confirmed in a randomised blind study. Demand for venesections is likely to increase in light of these findings. Member Price: Free. Non-Member Price: $15. In response to South Australia’s unsatisfactory childhood immunisation coverage, the Adelaide and Country South Australia Primary Health Networks are jointly implementing the SA PHN Immunisation Hub to ensure a unified, ongoing immunisation focus across the state. Member Price: Free. Non-Member Price: $15. Kelsa Laughlin, a registered nurse and Master of Public Health student, is working towards implementing Adverse Childhood Experiences (ACEs) screening within the primary care practice. Member Price: Free. Non-Member Price: $15. Chronic respiratory diseases are a leading causes of illness and death in Australia and internationally. More than 10% of the overall health burden in Australia is a result of lung disease. Member Price: Free. Non-Member Price: $15. A presentation by Carolyn Murray at the 2013 APNA National Conference - Movers and Shakers. Member Price: Free. Non-Member Price: $15. Presented at 2015 APNA National Conference - Brave to Bold. During 2014 there were six new medicines released onto the market for COPD and two new inhaler devices. In 2015 more medicines for COPD are anticipated. A new evidence-based Concise Guide for Primary Care on the diagnosis and management of COPD was also launched. Member Price: Free. Non-Member Price: $15. Presented at 2017 APNA National Conference - State of the Art. To investigate whether SMS messages or personalised calendar reminders can improve on-time (within 30 days of due date) compliance with immunisations we conducted a randomised controlled trial using a purpose-built iPad application (app). Member Price: Free. Non-Member Price: $15. Presented at 2015 APNA National Conference - Brave to Bold. How Healthdirect Australia’s online tools and telephone services support the practice, the nurse and the patient. Member Price: Free. Non-Member Price: $15. Presented at 2016 APNA National Conference - Nurses | the heart of primary health care. Nurses form the backbone of primary care in rural and remote Australia, providing an expanding volume of services, especially in relation to chronic disease management. Member Price: Free. Non-Member Price: $15. On arrival health assessments are crucial for people from refugee backgrounds. Two of the key resources to support this work are the Australian Refugee Health Practice Guide and the refugee health assessment template. Both of these resources were updated in 2017-2018 and will be presented in this paper. Member Price: Free. Non-Member Price: $15. This study, funded by the Australian Government Department of Health and Ageing, reports the development, trial and evaluation of a Queensland-specific package that teaches lay carers to manage subcutaneous medications used for symptom control in community-based palliative patients. Member Price: Free. Non-Member Price: $15. Presented at 2017 APNA National Conference - State of the Art. Outlines the development of a new online resource to assist nurses to manage excess weight in primary school aged children. Member Price: Free. Non-Member Price: $15. Taking the Plunge: Reach for your Highest Personal Best. Presented at 2013 APNA National Conference - Movers & Shakers. The primary purpose of this presentation is to speak to primary health care nurses to encourage them to consider extending themselves beyond the annual CPD workshop and to reach for their highest personal best through tertiary education. Member Price: Free. Non-Member Price: $15. Teachback: a Telephone Communication Technique to Improve Patient Health Literacy- Dianne Zalitis. This presentation will discuss a randomised controlled trial of a communication technique used by health professionals to improve the understanding of health information provided to clients and patients. 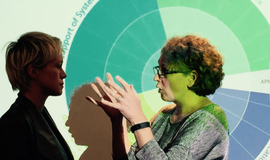 This technique known as Teachback is primarily used in face-to-face health encounters. Member Price: Free. Non-Member Price: $15. Teen Clinic is an initiative that breaks down barriers for young people accessing primary care in rural towns. It is a nurse-led drop-in model that utilises existing infrastructure and clinicians making it a financially sustainable model in rural setting. Nurses working at top of scope in the setting is an exciting element to this model of care. Member Price: Free. Non-Member Price: $15. Presented at 2013 APNA National Conference - Movers & Shakers. This presentation will discuss the process of implementation of video consultations at both the clinician and practice management level. Planning is an essential ingredient to success. Member Price: Free. Non-Member Price: $15. Presented at 2015 APNA National Conference - Brave to Bold. Presented by Ros Rolleston, this presentation will give an overview of the 45-49 year old health assessment. The discussion will include risk factors for the development of chronic illnesses, enablers and barriers of health promotion, components of the 45-49 year old health assessment and MBS funding. Member Price: Free. Non-Member Price: $15. Presented at 2014 APNA National Conference - Thriving Through Change. Lucy Perry is the CEO of Hamlin Fistula Ethiopia (Australia) and has worked with renowned Australian obstetrician, Dr Catherine Hamlin AC, and her team in Ethiopia for ten years. Member Price: Free. Non-Member Price: $15. The North Coast Primary Health Network (NCPHN) partnered with Southern Cross University in 2015 to develop peer primary care nurse networks from Tweed Heads to Port Macquarie. The North Coast Primary Health Network (NCPHN) partnered with Southern Cross University in 2015 to develop peer primary care nurse networks from Tweed Heads to Port Macquarie. The meetings were evaluated by 96% of participants as excellent/good. The NCPHN has subsequently recruited two clinical nurse advisers to plan, coordinate and drive these meetings into 2018. Member Price: Free. Non-Member Price: $15. The presentation will provide results from a systematic review entitled 'The effectiveness of outpatient nurse-led clinics in providing continuity of care for people living with chronic disease'. This in turn will provide evidence on the effectiveness of management, relational and informational factors in contributing to continuity of care between the acute and primary health care sectors. Member Price: Free. Non-Member Price: $15. Presented at 2016 APNA National Conference - Nurses | the heart of primary health care. Member Price: Free. Non-Member Price: $15. Australian and international literature reveals that dementia care in General Practice is a significant service gap. Supported by the APNA’s Enhanced-Nurse Clinic grant through the Healthy Practice Nursing Demonstration Projects 2015-2018, Ballarat Community Health developed a new nurse enhanced model of dementia care. Member Price: Free. Non-Member Price: $15. Presented at 2016 APNA National Conference - Nurses | the heart of primary health care. Presents a mixed methods study which was conducted to examine the impact of nurse-led care in three general practices, in two states of Australia. Member Price: Free. Non-Member Price: $15. Presented at 2016 APNA National Conference - Nurses | the heart of primary health care. With changes to blood glucose strip access for some patients, the need for a focused team approach to diabetes management becomes even greater. Member Price: Free. Non-Member Price: $15. Presented at 2016 APNA National Conference - Nurses | the heart of primary health care. Heather Henry, a former practice nurse and now the new chair of a forward thinking British primary care membership body, the NHS Alliance, thinks that primary care nurses are the uncelebrated ‘ninjas’ of their breed. Member Price: Free. Non-Member Price: $15. Presented at 2017 APNA National Conference - State of the Art. What does a park, a van and dirty laundry have in common? Member Price: Free. Non-Member Price: $15. Presented at 2015 APNA National Conference - Brave to Bold. Leading change, creating more efficient systems, and improving patient outcomes. Member Price: Free. Non-Member Price: $15. Presented at 2015 APNA National Conference - Brave to Bold. Explores the changes in HIV testing/counselling and innovative strategies, resources and education that primary care and primary health care nurses can access to be part of the fight to end HIV. Member Price: Free. Non-Member Price: $15. Commencing in 2013, to help address the increasing health care needs for the transient staff living and working in the ski fields, registered nurse Jackie Eyles, established The Wednesday Room Nurse-led Clinic. Member Price: Free. Non-Member Price: $15. Presented at 2016 APNA National Conference - Nurses | the heart of primary health care. An expert panel discussion to explore the importance of an Education and Career Framework for primary health care nurses. Member Price: Free. Non-Member Price: $15. Presented at 2017 APNA National Conference - State of the Art. Details the Gold Coast PHN's tiered approach to practice support that includes working with the general practice team including nurses to analyse demographic and clinical data to support and promote quality improvement activity. Member Price: Free. Non-Member Price: $15. Presented at 2016 APNA National Conference - Nurses | the heart of primary health care. Using digital health to advance continuity of care supported by the Federal Government’s commitment to the My Health Record system. Member Price: Free. Non-Member Price: $15. People readily accept the concept of mentoring and appreciate it's potential value but where do you start? How do you find the right mentoring partner and what do you do once you have? Member Price: Free. Non-Member Price: $15. This webinar provides an overview of adolescent fertility and pregnancy, including strategies to identify at risk young women, the risk taking behaviours and their potential implications on adolescent fertility and how to insert these conversations into your workflow. Member Price: Free. Non-Member Price: $15. 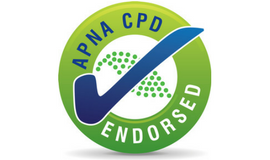 This webinar compliments the online course - Obesity Chronic Disease and Fertility - currently available for primary health care nurses through APNA Online Learning. The module will also cover the impact on fertility of specific chronic diseases such as diabetes, mental health problems, epilepsy, and autoimmune disorders. This module was developed with funding provided by the Australian Government Department of Health. Member Price: Free. Non-Member Price: $15. Discuss ideas for applying mentoring to optimise the practice nurse role, advance professional development and give and gain support in your networks. Member Price: Free. Non-Member Price: $15. This webinar will offer a practical guide to mentoring and is especially designed for nurses working in Primary Health Care including general practice.Member Price: Free. Non-Member Price: $15. 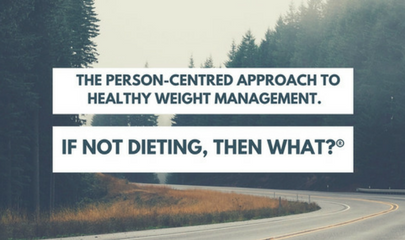 Dr Rick Kausman is recognised as the Australian pioneer of the person centred approach to food, eating, behaviour, weight and health. Member Price: Free. Non-Member Price: $15. This webinar was developed by the National Asthma Council Australia to prepare and educate nurses for Thunderstorm Asthma. Member Price: Free. Non-Member Price: Free. Duration: Approx 1 hour / 1 CPD hour. Presented at 2013 APNA National Conference - Movers & Shakers. This presentation will outline a different approach to consumer engagement through building on some important World Health Organisation principles to achieve patient-centred care in primary health care and why this is an important approach to achieving better health outcomes. Member Price: Free. Non-Member Price: $15. Presented at 2013 APNA National Conference - Movers & Shakers. Sue Cross will give her own experience of leadership and leaders over the years - the good, the bad and the not so attractive - relay her experience of the different types of leaders and how to be creative in your leadership skills. Member Price: Free. Non-Member Price: $15. Presented at 2013 APNA National Conference - Movers & Shakers. Preliminary evaluation findings will be presented with the aim of informing policy and practice decision-making to build the capacity and sustainability of primary health care nursing at the Medicare Local and broader health system level. Member Price: Free. Non-Member Price: $15. Presented at 2017 APNA National Conference - State of the Art. This session by Lea Young will take you through wound types and how best to treat. Member Price: Free. Non-Member Price: $15. Asthma management is constantly changing and evolving. With the recent publication of the new Australia Asthma Handbook (the Australian Guidelines) this interactive webinar will look at new medications, devices and management strategies including how best to use the current MBS item numbers available for asthma and respiratory management in general practice. Member Price: Free. Non-Member Price: $15. 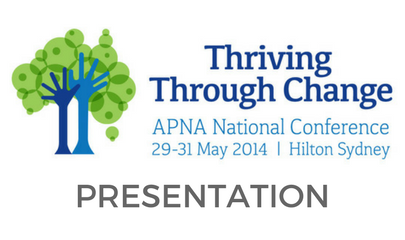 Presented at 2014 APNA National Conference - Thriving Through Change. Barbara Docherty is a former practice nurse and has led the TADS Behavioural Health training program for the past 16 years. Member Price: Free. Non-Member Price: $15. Presented at 2015 APNA National Conference - Brave to Bold. Caring for acute and chronic wounds imposes a multi-billion dollar burden on the Australian healthcare system with chronic wounds estimated to affect more than 430,000 Australians. Member Price: Free. Non-Member Price: $15. A half-day workshop that will you give you the confidence to assess and treat all wounds in your practice. Wounds covered include burns, venous leg ulcers and skin tears. Member Price: Free. Non-Member Price: $15. A half-day workshop that will you give you the confidence to assess and treat all wounds in your practice. Wounds covered include burns, venous leg ulcers and skin tears. Members Price: Free. Non-Members Price: $15.